Tonight saw top welterweights, and seemingly good friends, Donald “Cowboy” Cerrone (33-10) and Yancy “The Kid” Medeiros (15-4) face off in the main event at UFC Fight Night 126 in Austin, Texas. Both men had very laid back attitudes heading into the fight. With Cerrone and Medeiros obviously having a lot of respect for each other, the bout was set to be a true battle as all they wanted to do was throw down. They did not disappoint, and the fight kicked off with constant forward motion which was something to be expected from the audience. 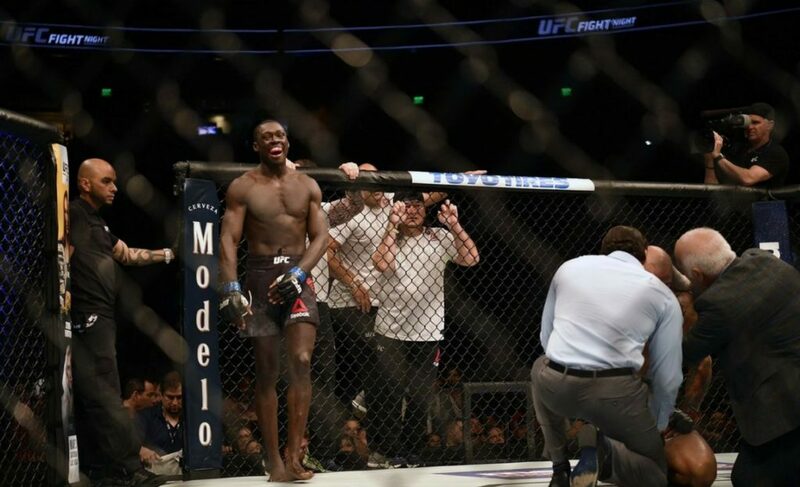 With both men coming out swinging, the short-lived fight certainly delivered for UFC fans excitedly waiting to witness the unpredictable match-up. Medeiros was not intimidated by veteran Cerrone’s experience, always coming forward and landing some impressive combinations. 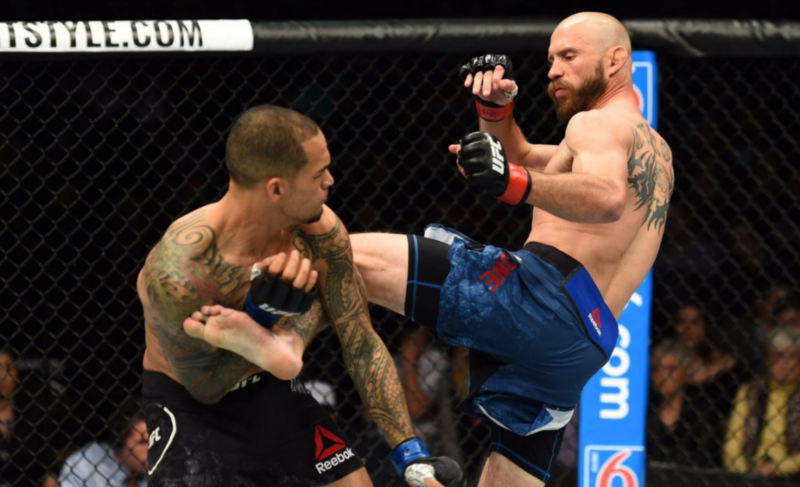 As time went on, both men threw in some kicks to mix it up, however, it was evident that Donald Cerrone had worked out the timing of Medeiros’ combinations and used it as an advantage to overpower his younger opponent. Wobbling Medeiros twice, we were slowly being shown that this wasn’t Cowboy’s first rodeo – he knew how to tame his promising competitor. With ten seconds left in the first round, it looked like prospect Medeiros would have time on his side to last until the next. 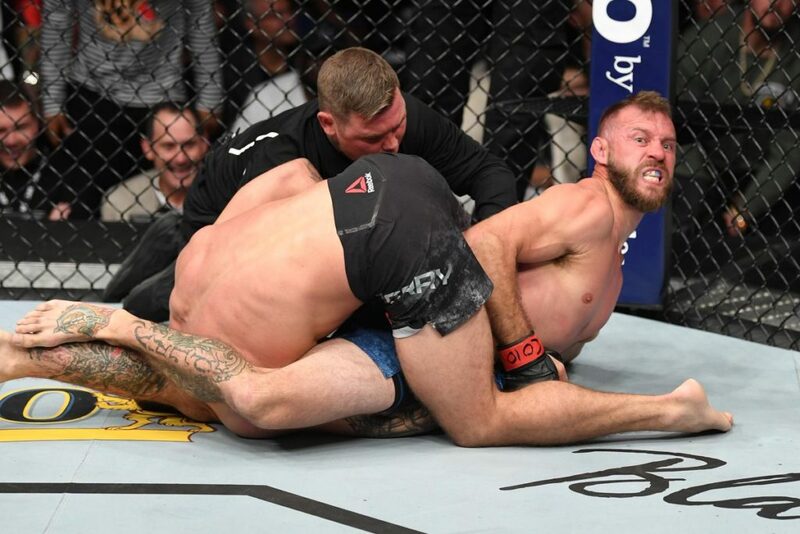 However, “Cowboy” rocked the Hawaiian and made him hit the canvas with a mighty right hand and eventually landed his follow up shots on the ground, forcing referee Herb Dean to swiftly stop the round with only two seconds to go. Once all had settled, it was evident that Yancy Medeiros was frustrated but was notably comforted by Cerrone’s grandmother who was there in the first row to witness her grandson’s win. 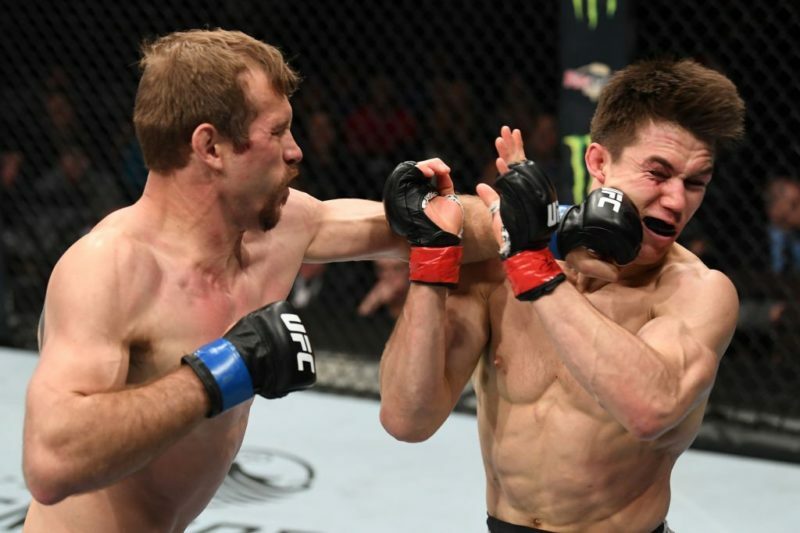 This set the tone of the night, with first-round finish after first-round finish, UFC Austin was all about plain and simple fighting. No trash talk, no real controversies, just a simple old Sunday Fight Night in Texas to give world class fighters a stage to showcase their skills. 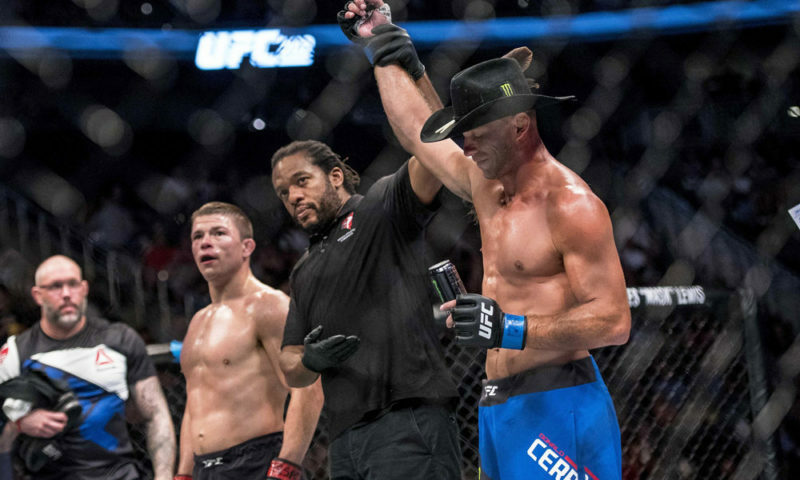 With a humble post-fight speech, Donald Cerrone stayed true to his usual personality and made it clear that they were there to fight just for the sake of fighting. 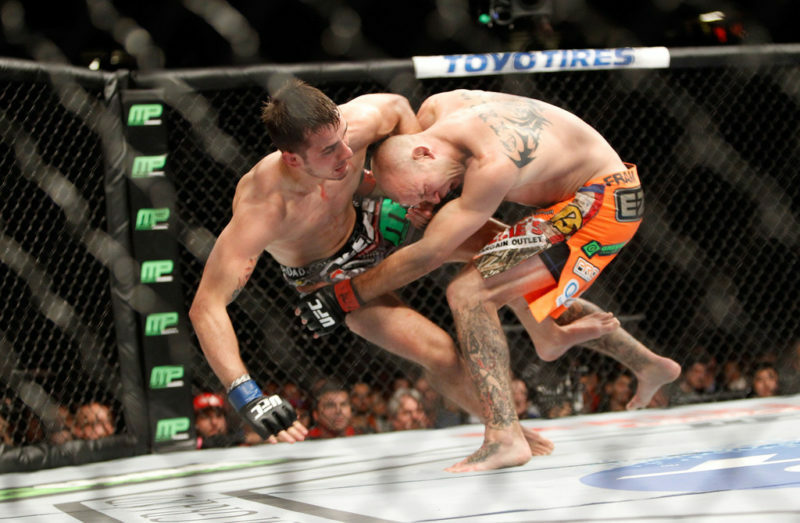 More than likely sticking to his preferred game plan, Cerrone worked for a quick finish to get the job done. “I bit down on my mouthpiece and said let’s go,” he told Jimmy Smith after being announced as the winner. After tonight’s victory, “Cowboy” has now tied with former champions George St-Pierre and Michael Bisping for the most wins in UFC history, ending tonight with his 20th victory in the octagon. He also managed to break the record for most finishes in UFC history. With a three-fight losing streak under his belt, this win was desperately needed for the Albuquerque resident, although with his previous accolades it was not likely that he would be cut from the organization but it certainly wasn’t a good look for “Cowboy” who has been known for his highlight reel victories for years. There has already been talk since tonight’s fight of Donald Cerrone dropping back down to the lightweight division for his next bout. This could be a huge benefit for Cerrone after a tough year or so, being able to face opponents more suited to his size while learning from his losses and most recent wins at welterweight. Could we potentially see a Donald Cerrone vs. Nate Diaz rematch in 2018, a fight seven years in the making? Perhaps, but with such stiff competition in the lightweight division, a lower ranked opponent such as fellow victor James Vick who scored a decision win over UFC veteran Francisco Trinaldo. We have heard these lightweight rumors before but there is no doubt that Cerrone is still quite comfortable fighting at welterweight although having faced quite a bit of adversity. If he chooses to remain at 170 lbs, the UFC could choose to continue on the hype train and set Cerrone up with dangerous prospect Kamaru Usman, this would make sense for the rankings but would certainly make Cerrone’s return a lot more difficult than it needs to be. A fun fight to make could be against #13 ranked Gunnar Nelson who has unsuccessfully campaigned for a fight against the last man to beat Cerrone, Darren Till. This could generate quite a bit of hype with both men always being in good grace with the UFC fanbase. Regardless of what’s next, Cowboy delivered what he always promises – a fight. It’s obvious that despite competing in the UFC octagon for the 27th time tonight, Donald Cerrone has no plan in stopping any time soon. 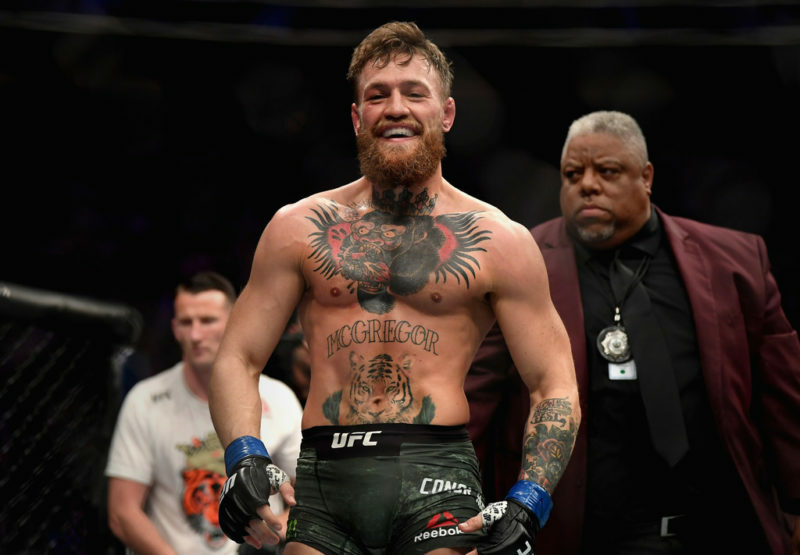 A true fan favorite in the organization, this win can be used as momentum to get back to his winning ways and perhaps get one last crack at a title run at either lightweight or welterweight. Cowboy can continue to fight his heart out and cash some checks, fighting for the sport of it and entertaining all of us on the way. 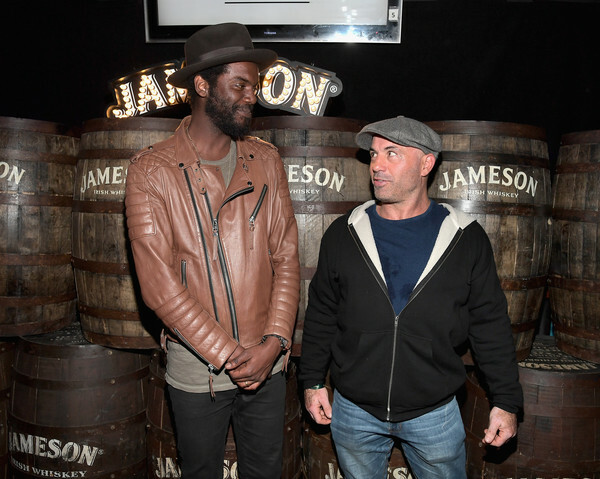 It’s time to appreciate both the old and the new Cerrone and look forward to some more thrilling fights ahead.